Beth finds great joy in sharing the house hunting experience with her clients. She appreciates the opportunity to help others make one of life’s more important decisions and cherishes the trust and confidence her customers place in her. Beth partners with Greg Adams. Together, they are one of the most prominent real estate teams in Northeast Indiana with over 60 years of combined expertise. Their affiliation with CENTURY 21 Bradley provides them with solid foot holds in the marketplace while ensuring their clients the professional services and networking resources they deserve. Beth’s desire to truly understand her clients needs and expectations sets her apart from other realtors. This professional approach coupled with her personal commitment and approachable personality have produced superb results. Beth has been recognized by the real estate industry as a leader among her peers with a capacity to meet all your real estate needs. She believes real estate is more than just a financial transaction. Passionate and dedicated to her craft, Beth sees it as a life changing event that requires great sensitivity and respect for the values and beliefs shared by her clients. See below for some of Beth's reviews. 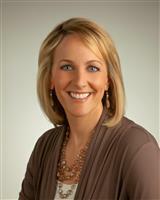 Additional reviews can be found on Beth's profiles on Realtor.com, Zillow, Trulia and Century21.com.